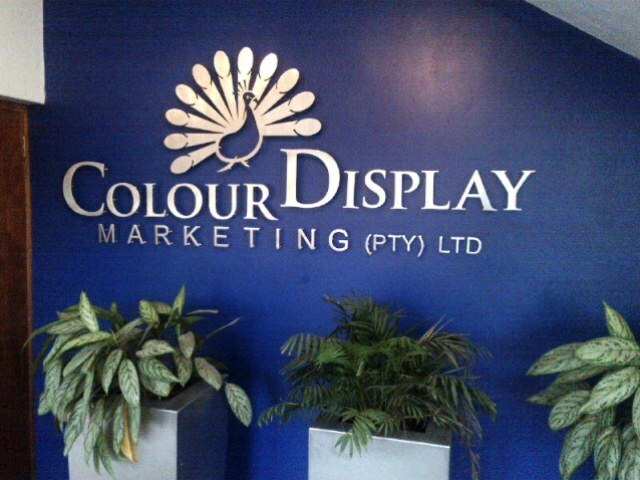 Cut-Out Text Sign for Colour Display Marketing, cut from grade 304 stainless steel and mounted with Mounting Stud to the wall. 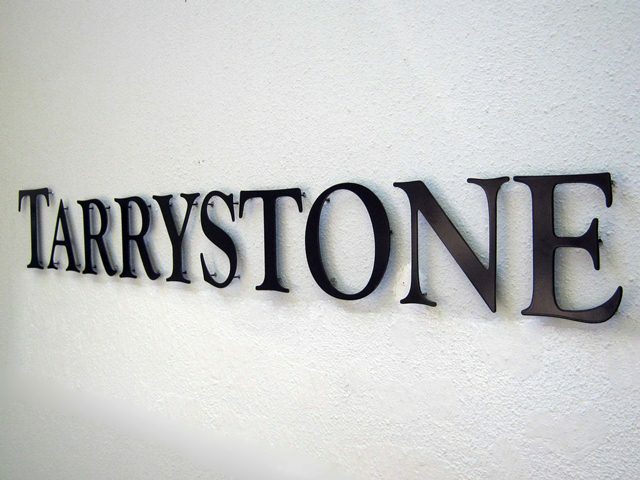 Cut-Out Text Signs are a style of sign where the text is cut out from the surrounding plate - which is then discarded. 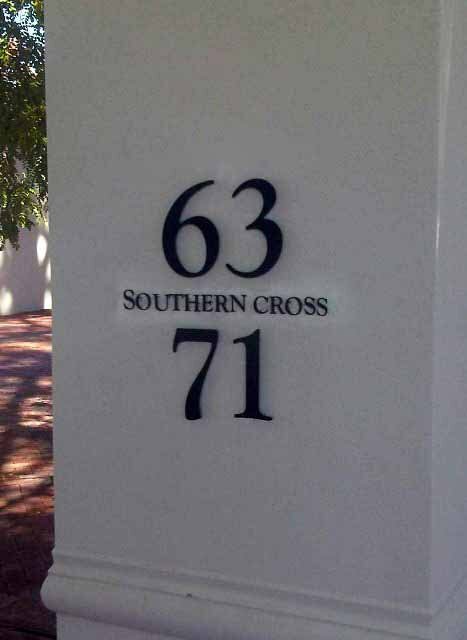 The letters are then mounted onto Mounting Studs which are fixed into the wall. Script fonts are generally used with this style of signage, however, we can create this style of sign from almost all fonts. Some popular font alternatives can be found here. 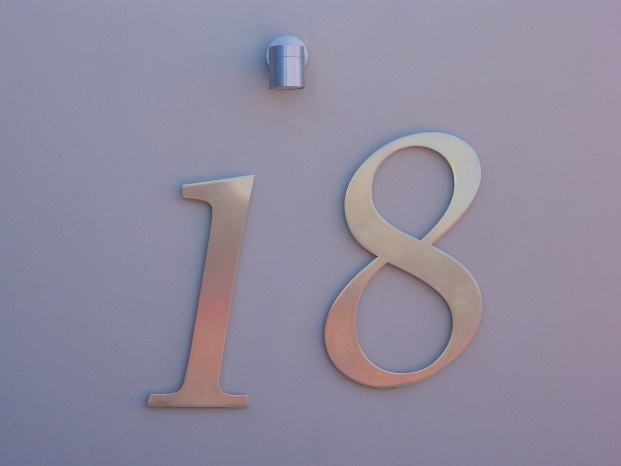 To make your installation easier and to get the correct spacings between letters, we include a full size template to indicate drilling positions on the wall. 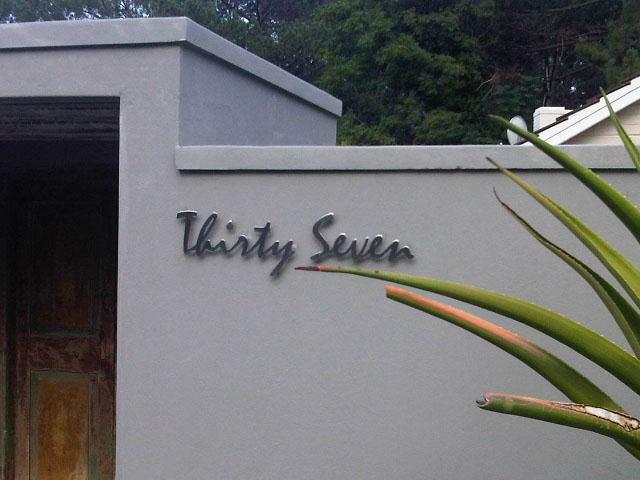 For exterior signs in coastal regions our grade 316 stainless steel is used, this grade is better suited for the weather conditons and sea air. 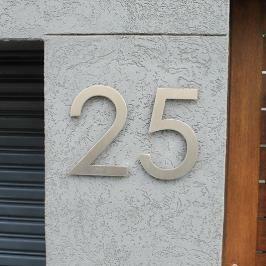 For internal signs or signs which are mounted in non-coastal regions our grade 304 stainless steel is used. 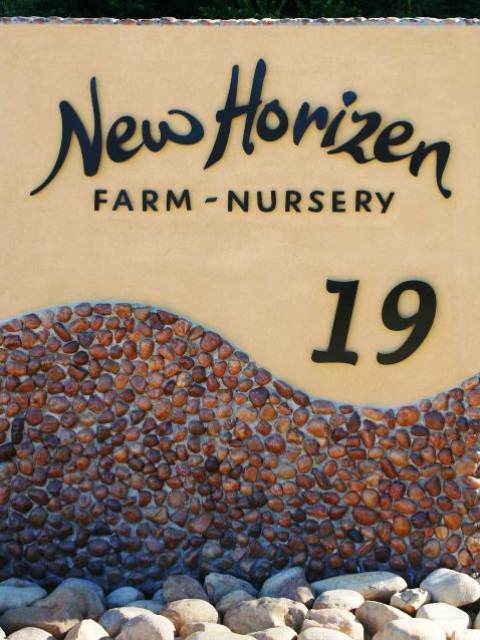 Cut-out signs which require a colour are cut from grade 3Cr12, this allows for the steel to be powder coated in the customer's desired shade. 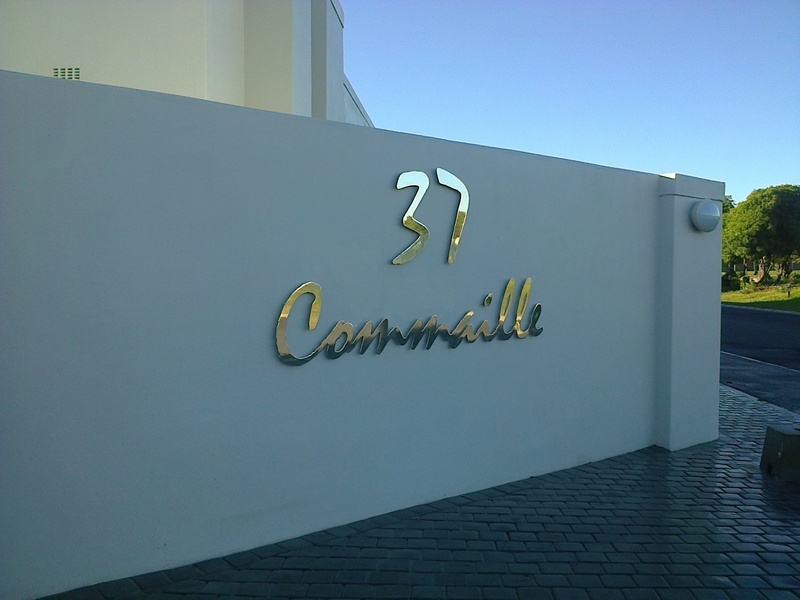 A Grade 3Cr12 Stainless Steel Sign with black powder coating. 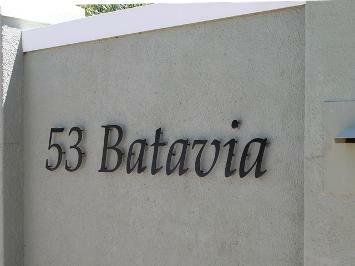 A Grade 316 Stainless Steel Sign with a brushed finish.